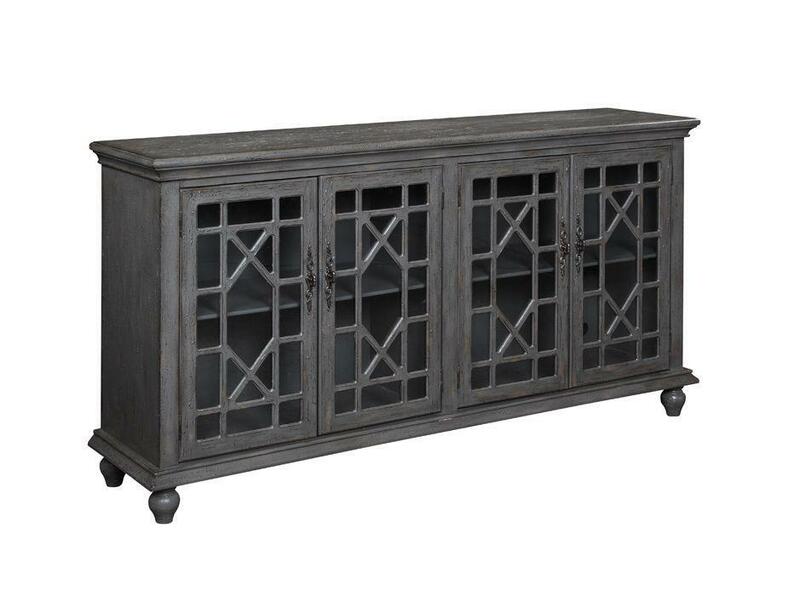 With a substantial air, this media cabinet is unassuming, but beautifully built. The Joplin Texture Grey finish is tactile and neutral. The four doors have a cloisonné-style treatment over the glass inserts. Large decorative hardware and an interior shelf contribute to the classic style. Storage Four doors. Internal shelves for storage.